It has been almost two decades, but now PUMA is back in basketball! And the first names that pop up when it comes to collaboration and creative directions are impressive. We have decided to return to the Basketball court, adding another sports category to our business portfolio. The first one to support and join PUMA for the Basketball Comeback is none other than entertainment and cultural icon Shawn Carter, better known as Jay-Z. He joins PUMA as the Creative Director for the sports of basketball overseeing creative strategy, creative marketing and product design for the category. Jay-Z is among the most acclaimed musicians of the 21st century and is one of the most celebrated rappers of all time. He was co-owner of the NBA team Brooklyn Nets from 2003 to 2013 and also advises stars from the media and sports industry with his agency Roc Nation, with which PUMA has worked together since 2013. 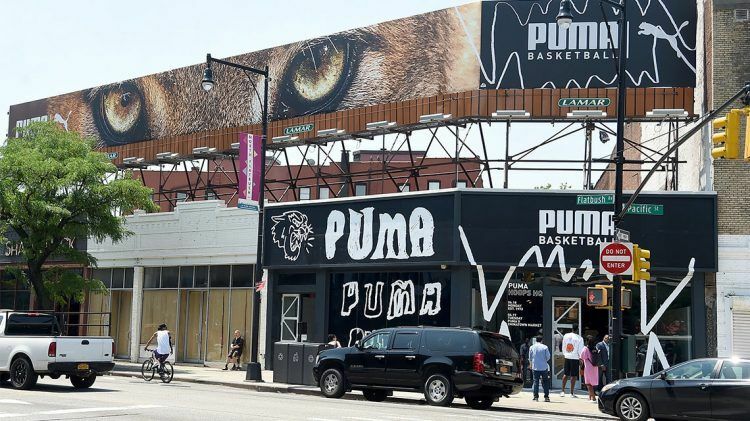 PUMA celebrated their official re-entry paying homage to its heritage in the sport at a pop-up space in Brooklyn, offering former NBA Basketball Star Walt “Clyde” Frazier a lifetime contract. 19-years old rookie Deandre Ayton played college football for the Arizona Wildcats. He was the number 1 draft in this year’s NBA draft, picked by the Phoenix Suns. Just like him, Marvin Bagley, who played college basketball for the Duke Blue Devils, declared for the NBA draft and was picked second by the Sacramento Kings. Zhaire Smith played for the Texas Tech college basketball team. In April he signed with Roc Nation, thus ending his college eligibility just like Marvin Bagley and Deandre Ayton. He was pick number 16 in the first-round of the draft, picked by the Phoenix Suns as well. This year’s NBA draft took place on June 21st, 2018 in Brooklyn, New York. The NBA teams took turns in selecting amateur U.S. college basketball players. To celebrate basketball culture, PUMA unveiled a limited-edition collaboration with streetwear brand Chinatown Market this week at the pop-up space in Brooklyn. Stay tuned for more, because the PUMA Basketball performance footwear will hit shelves later this fall! The American played for the Cleveland Cavaliers and the New York Knicks. As their floor general, he led the New York Knicks to the franchise's only two championships (1970 and 1973), and was inducted into the Naismith Memorial Basketball Hall of Fame in 1987. 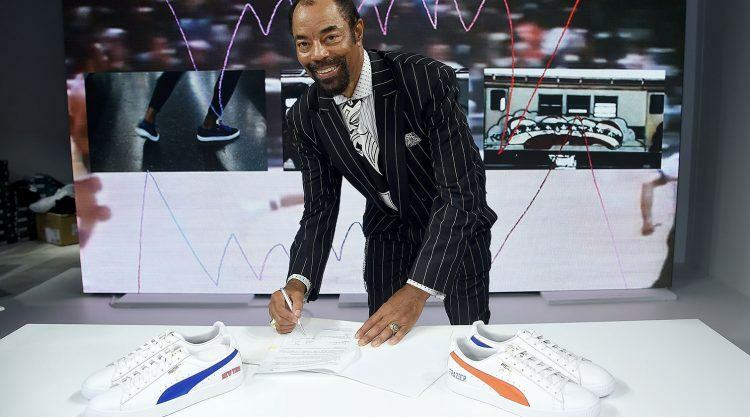 PUMA has a long history in the basketball space with Walt “Clyde” Frazier. Together with him, PUMA launched the first-ever athlete endorsed sneaker – the PUMA Clyde - in 1973. The Bahamian basketball player joined Wald Frazier in Brooklyn for PUMA's kick-off event for its re-rentry into the basketball category.